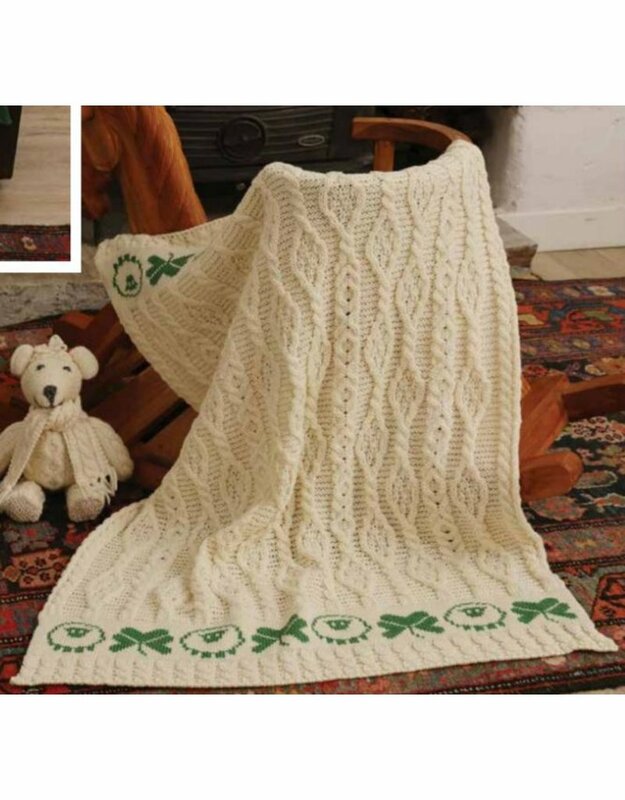 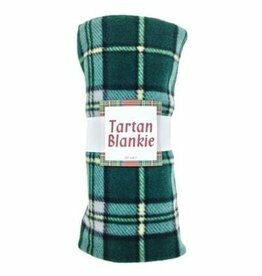 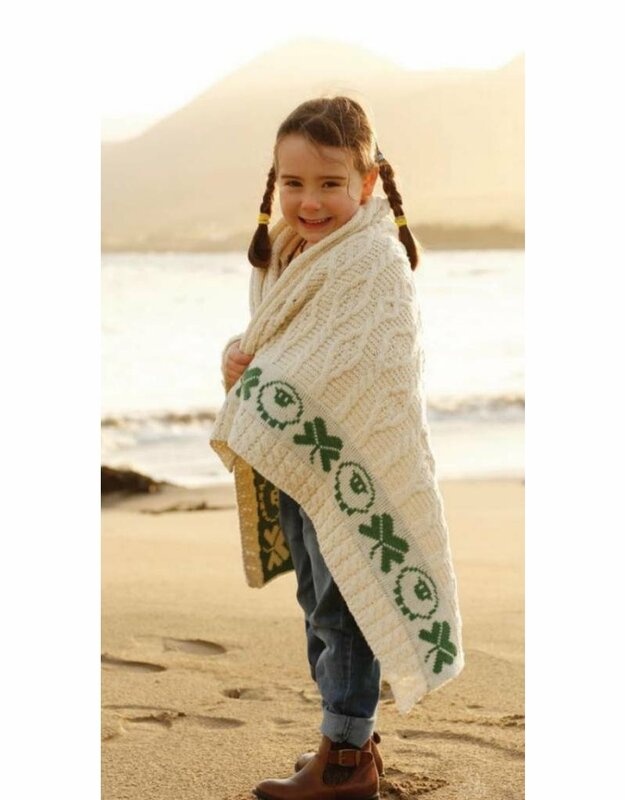 A beautiful gift to welcome a new baby: A soft Irish Aran baby blanket. 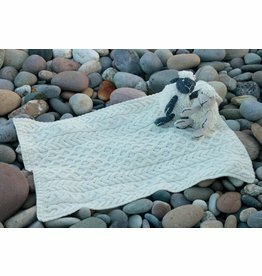 The classic diamond stitch, wishing wealth and success, is the main stitch here, blended with traditional cable. 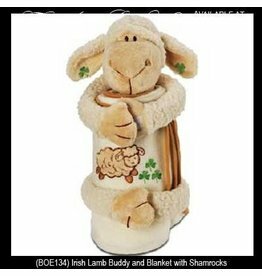 The adorable trim features lucky shamrocks and cute sheep in rich moss green.